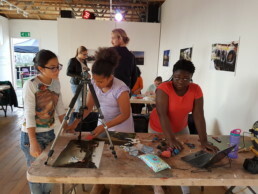 Transforming our dock into a creative industries quarter with community gardens and footpaths – opening up the Lower Lea River for everyone. 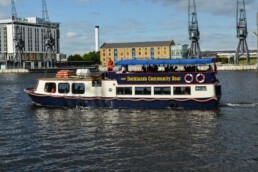 Find out about our water based activities: the River Princess community boat and plans for watersports at Cody Dock, and our facilities for moorings and boat maintenance. 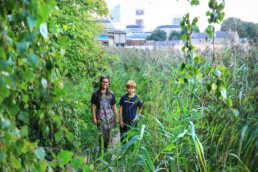 Learn about the wildlife and habitats of the Lower Lea and the opportunities at Cody Dock to explore them through our environmental programmes. 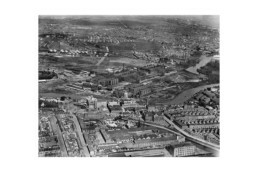 Explore the rich industrial history of the Lea Valley and the part Cody Dock is playing in educating and celebrating this through our boat tours, education programmes, heritage pavilion and industrial heritage archive. 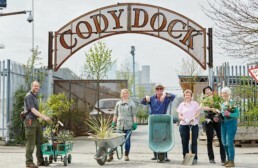 Read about Cody Dock’s commitment to the arts, our venues and studio spaces. Follow us on Twitter, Instagram and like us on Facebook.